New Mexico National Guard First Sgt. 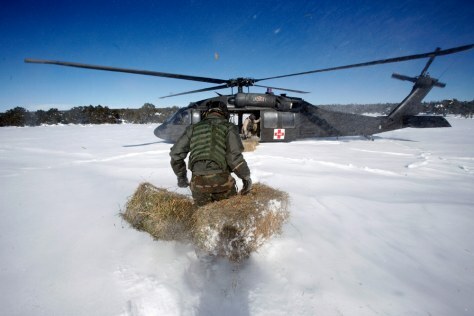 Rob Farris carries hay bales through thigh-deep snow to a waiting Black Hawk helicopter in Clines Corners, N.M., on Wednesday. The bales would later be dropped to help feed stranded cattle.